It may sound macabre. But advocates say a critical step to address important gender disparities in the care and research on concussions’ harms may rest in convincing more women to donate their brains to science. This has already helped to prove the debilitating and deadly effects of head trauma among men in pro sports. In contrast to the many and growing number of male athletes (especially pro football players) and their families who have allowed post-mortem brain studies, far fewer elite female players have agreed to similar research. Stat, the online health information site, says soccer stars Brandi Chastain, Abby Wambach, and Megan Rapinoe are among the public few. 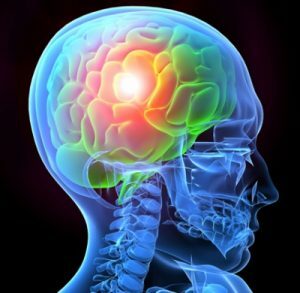 Autopsies are often the only way, for now, for experts to definitively diagnose debilitating conditions like chronic traumatic encephalopathy (CTE) that result from repeated head trauma (concussions). But when it comes to other head and brain injuries, women and their gender-specific issues also get short-shrift from researchers now, advocates say. Pink Concussions is a nonprofit advocacy group that aims to increase research and scholarship in this field, explaining why by citing scarce studies indicating that: women sustain more concussions at a higher rate than their male counterparts; they report a higher number, and more severe, symptoms than males; and their recovery periods are longer than males. Stat details the dearth of research on female head trauma by noting that one examination of 200 studies on prognosis after mild traumatic brain injury found only 7 percent separated out women. The Pentagon and the NCAA, the site says, are tracking 1,288 college athletes, a third of them females, with concussions as part of a new $30 million study. Studies show the female brain does appear to react differently when concussed. Female rats behave differently than males, and there are biological differences, too — females have cycling hormones, higher rates of blood flow through their brains, less myelin sheathing around nerve fibers, and more migraine headaches. All those factors might affect concussion response. She also mentions a 2013 study of 144 women who received emergency room attention after head traumas. That work showed that women who were concussed during the two weeks before their period had a slower recovery and poorer outcome one month later than those who were hurt in the two weeks after their period — or those who were taking birth control pills. Disparities in research and care, by gender, race, ethnicity, age, and even nationality, are receiving increasing attention in the scientific community. The National Institutes of Health has issued guidelines to address the issue in basic scientific research it supports. After starting to overcome gender disparities, researchers are showing powerfully that women suffer heart disease and its episodes differently than do men—unlike men, who typically might recognize a heart attack because of its stabbing chest pain radiating into an arm, women with a similar condition feel chronically fatigued and short of breath. But progress in this area remains slow, even glacial. A colleague says that senior women at a nationally recognized health research institution cynically observe that so little has changed about gender disparities from their undergraduate days that the only thing that they can still rely on is that key data they work with will be derived even from lab rats that are all white and male. Alas, there are stubborn men in troubling positions of importance, including the running of the National Football League. Because I deal in my practice with the huge, lasting harms that brain injuries can inflict, I can’t fathom why pro football, which is so influential in shaping young athletes’ views and lives, continues it foot- and knuckle-dragging approach to protecting its players from head trauma. Does it really take the firepower of Ivy League legal experts (from Harvard) to persuade the NFL that on-field physicians should be independent and not report to teams or the league? This is a silly non-issue if pro football really wants to protect players, allowing neurologists and other experts to independently assess and yank athletes from play if they’re at risk after head trauma.